Cardiff is a pretty good place for beauty. We’re blessed with an incredible MAC store, three amazing department stores, and some independent chains as well that means I can get pretty much any brand I want. It’s even better when a new beauty brand arrives and I get to check it out. 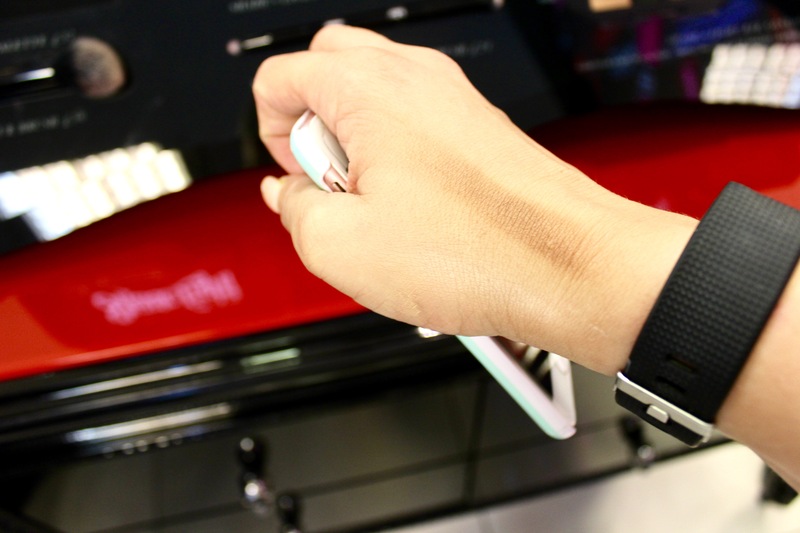 I was absolutely thrilled to receive an email from Tys (who I’d actually met at the Spectrum party last month in London), inviting me to a ‘Swatch and Shop’ event to celebrate the arrival of Kat Von D at Debenhams Cardiff. How soon can you respond ‘hell yes!’ before looking really uncool? 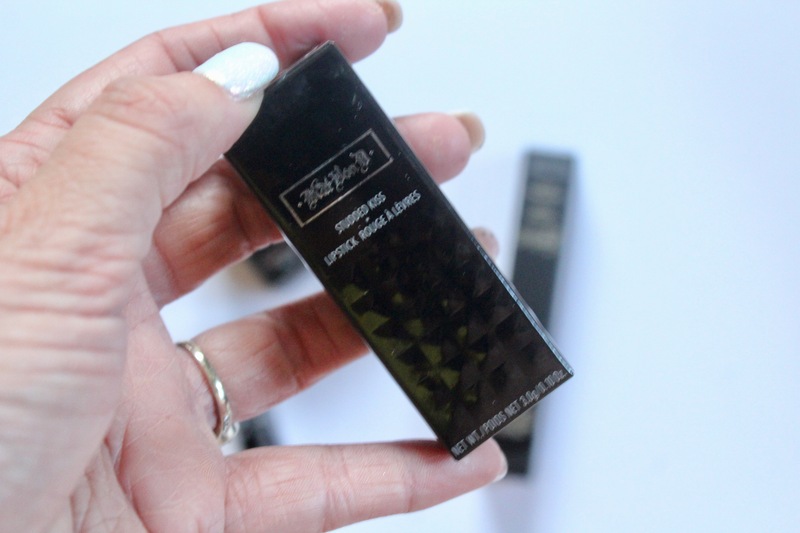 If you haven’t heard of Kat Von D Beauty, I’m not sure where you’ve been. Kat Von D is of course the famous tattoo artist, and whether you’re into tattoos or not – LA Ink is definitely worth a watch. 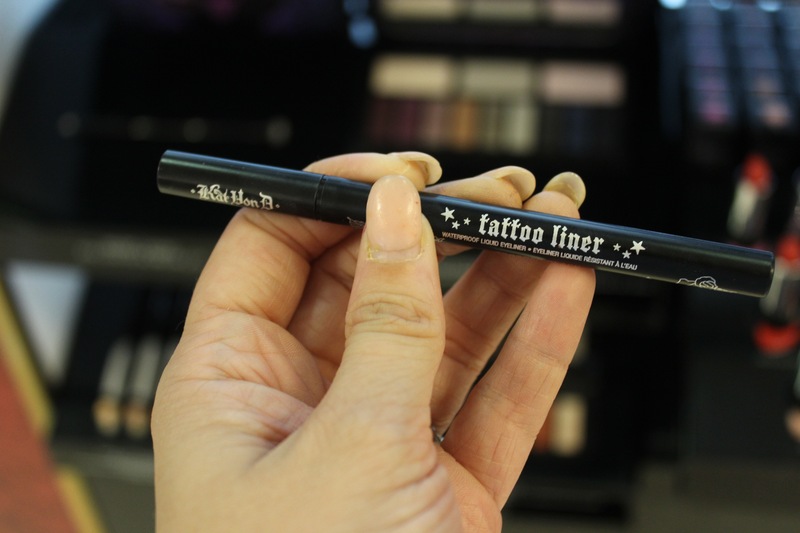 Kat Von D has a classic, distinct look – good liner and bold lips, a girl I can certainly get on board with! She was approached to create her own makeup line and it has certainly taken off. The collection is full of some fantastic products from liquid lipsticks to full coverage foundations that will cover everything – even your ink (if you had to!). Best of all, the range is completely VEGAN and CRUELTY FREE – proof that brands can make excellent, high-quality products that do not have to involve animals in the slightest. I get up at 6am every day to write, so not sure why an 8am event would seem so strange to me – I felt rather scruffy turning up to meet some of my fellow local beauty bloggers outside Debenhams yesterday morning – the slightly later wake-up time must have thrown me. Anyway, when we arrived we were treated to a tasty vegan breakfast consisting of some gorgeous muffins, fruit and soya lattes. We were given a lovely introduction to the amazing team and given the counter to roam to try as many of the products as we wanted. They’ve been given a pretty amazing space in Debenhams. 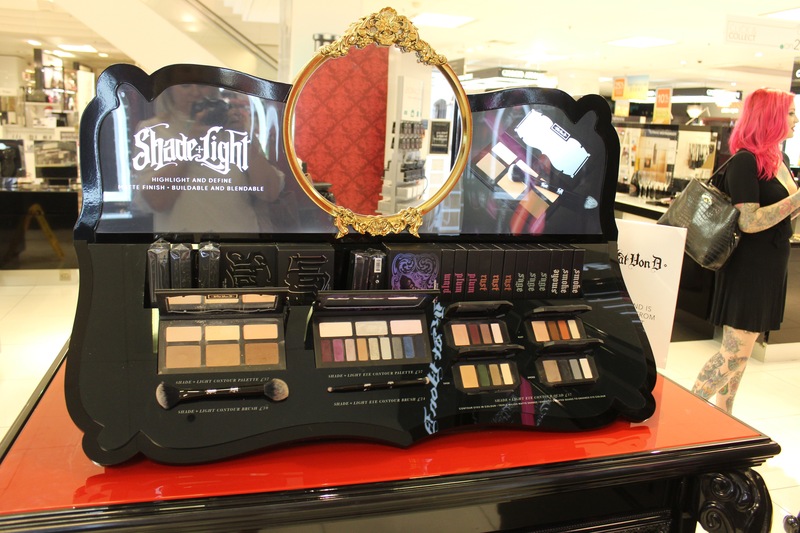 I make a lot of my makeup purchases in Debenhams and the Kat Von D counter is a good fit for the store. The counters look amazing – there’s a glam-goth-style vibe that’s so stylish I almost felt a bit unworthy! I dived in and soon had an arm full of swatches. I couldn’t believe the pigments on the products – they were incredible and some stayed on my arm until I showered them off later on. The Cardiff Kat Von D girls are so lovely and talented. If you pay the counter a visit, you’ll get a warm welcome from Poppy and the girls. They know the products inside out and they were more than happy to apply some products and give me recommendations. Make sure you follow them on Instagram to see the looks they create. The Shade and Light palette is fantastic, and is definitely on my list when I use up some of my other contour palettes (look at me being sensible!). I’m so thrilled with the goodies I picked up at the event. 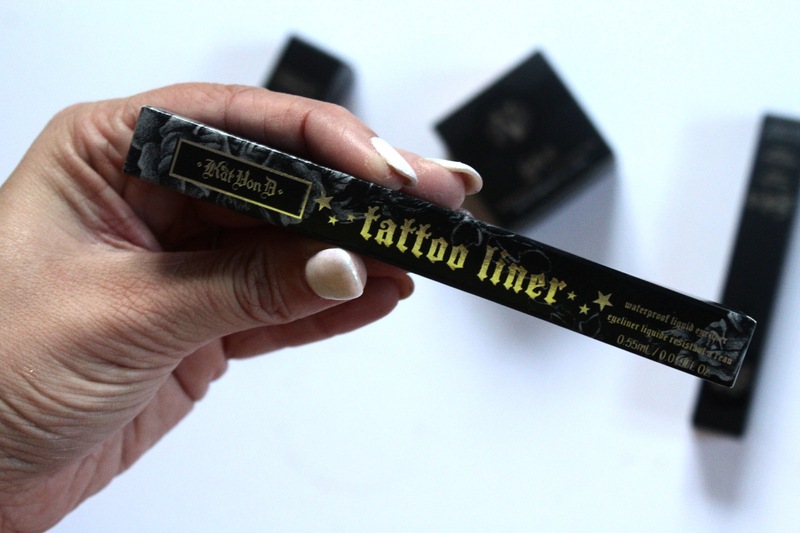 I wanted to try out a few products so I picked up the Tattoo Liner, Lock-It Concealer Crème, Brightening Powder and Studded Kiss Lipstick in Magick. 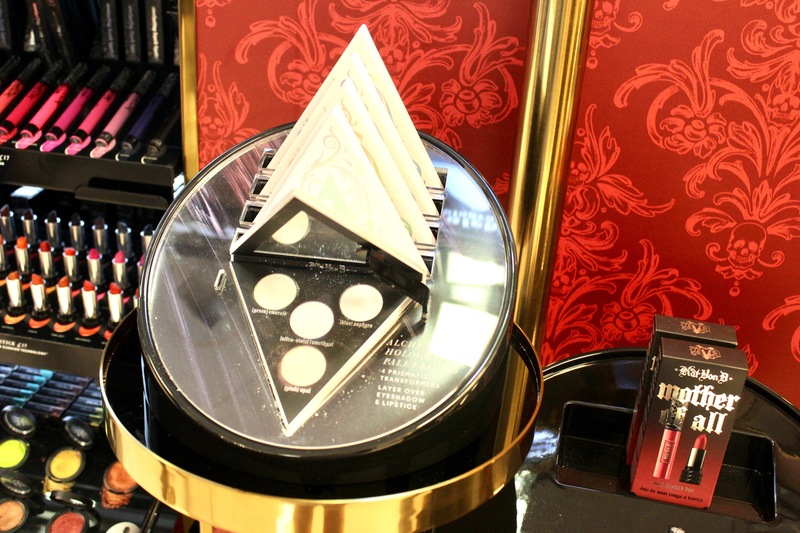 The coverage on the face products is amazing and I was astounded by the colour selection. There are literally shades for all skin tones. I tend to be the palest on the spectrum (NC15 in MAC concealer/Light+ BB Cream) but I was almost close to the middle of the range because they did shades that are actually suitable for light skin tones – I don’t even consider myself to be pale so this was quite a nice change for me. They also do shades in Warm, Cool and Neutral so it’s great to have that good variety. I also swatched the Alchemist highlighter palette – the shades are so pigmented, they look incredible on the skin and will look great for eye and lip looks too. I’d be intrigued to try the eyeshadow palettes as well – I have sooo many now though that I’m really trying to be disciplined and hold off buying more. The event was only yesterday so I haven’t had a good play with my own products yet but you’ll certainly be seeing more of them on my Instagram over the next few weeks. I just want to say a massive thank you to Tys, all the girls and Debenhams who put on the event. I had a great time, and it was nice to meet some of my fellow bloggers properly and have a good chat. I’ll definitely be a regular at the counter and I can’t wait to get stuck in with my new products. 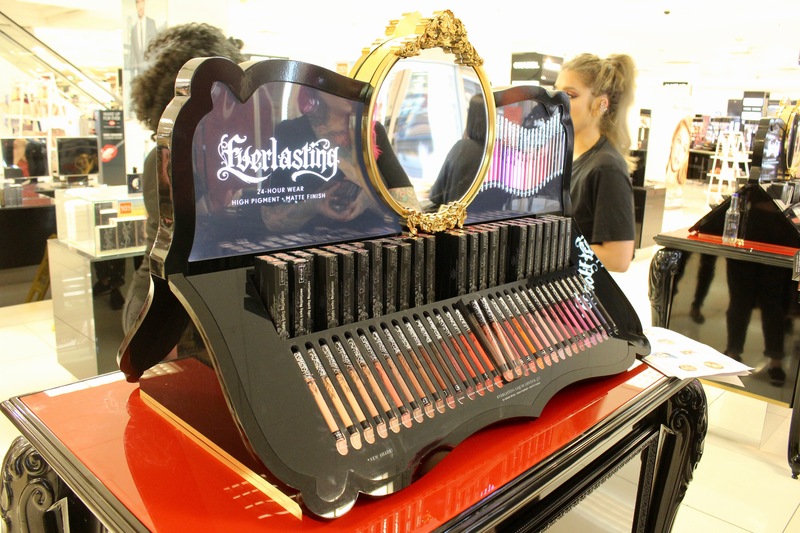 You can buy Kat Von D Beauty at Debenhams online and, of course, at the fantastic new counter in Cardiff. 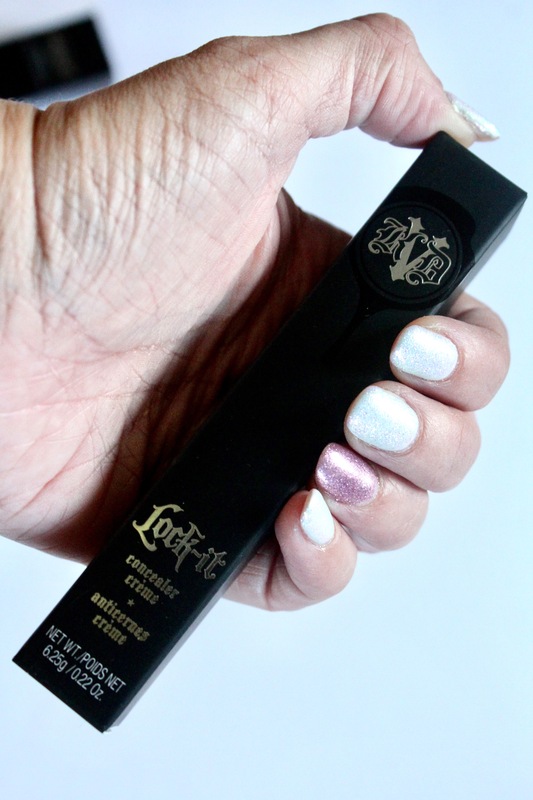 I’m really curious about Kat Von D products since they get lots of amazing reviews. I love Kat Von D! Every product I’ve tried has been incredible, I’m definitely eyeing the Alchemist palette at the moment. That’s a pretty exciting event to attend! I really like how they’ve styled their area, it’s so unique compared to most other mainstream brands and I am all for that! Can’t wait to see more chat on Instagram about the products you grabbed. 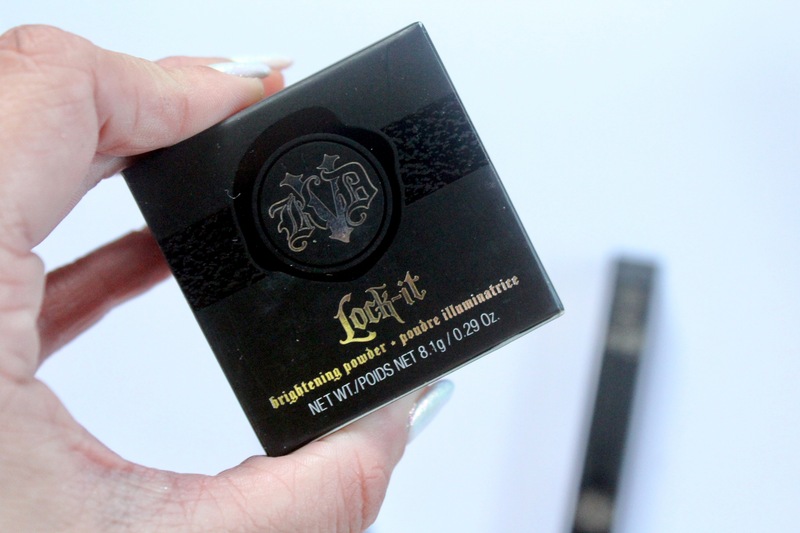 I love Kat Von D beauty so this launch would have been amazing for me! I am in love with the everlasting liquid lipsticks, they are so beautiful and one in so many shades. I love her products and her. She is so fantastic.